IPU Admissions 2019 will be done on the basis of national level exams for some courses. Indraprastha University will not conduct the Common Entrance Test for offering admission. All the candidates looking for admission in IPU University will now have to take the National Level Tests for Admission to Various Courses. The IPU Admissions 2019 will be done now on the performance of students in the National Level Exams like: JEE Main, CAT, NEET, CLAT, NATA and Others. The application form for IPU CET 2019 is now available. Candidates can fill the form HERE. IPU CET stands for Indraprastha University Common Entrance Test. 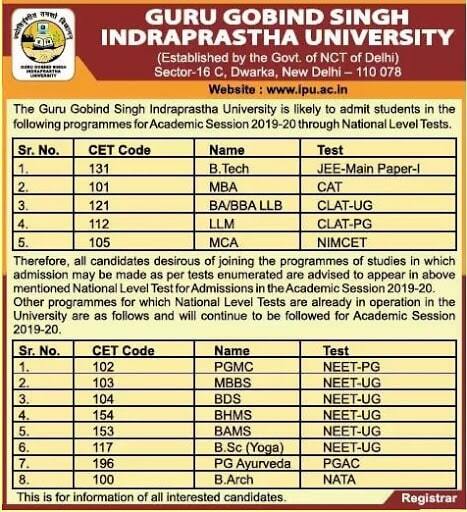 The IPU CET 2019 is conducted every year by GGSIPU (Guru Gobind Singh Indraprastha University). The University offers UG, PG and other courses to its students through IPU CET. On the basis of IPU CET scores, admission will be given in GGSIPU and its affiliated institutions. The better the score and rank of the candidate, the better college will be allotted to him/her. The IPU CET is conducted in offline mode every year. In order to seek admission to B. Tech courses through IPU CET, candidates must first make sure that they fulfill all the eligibility criteria as laid down by the exam conducting authorities. He/she must have obtained a minimum of aggregate 55% marks in Physics, Chemistry & Mathematics, and have passed each of these subjects separately. Those candidates who are going to appear for their 12th examination in 2019 are also eligible to apply. The IPU CET 2019 Application Form has been released in the online mode on the official website on 23rd March 2019. All candidates who want to take admission in IP University through the engineering entrance examination must make sure to fill and submit the IPU CET 2019 Application form. While filling the form, the candidate must ensure to enter the correct CET Code. For example, CET Code for B.Tech and B.Tech (Technology) are different. Candidates must provide only the correct and valid information in the application form. Each candidate must fill and submit only one application form. 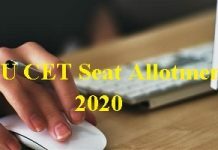 Candidates must make sure to submit the IPU CET 2019 application fee of Rs. 1000 through the online payment gateways. Before starting with the preparation of IPU CET Exam 2019, candidates must make sure to go through the entire IPU CET exam pattern 2019. The Exam pattern will reflect the information about the 2019 exam and the question paper. 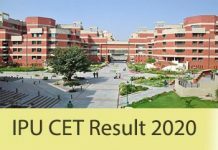 CET 2019 will be conducted in offline pen and paper-based mode. All the candidates will be provided the OMR answer sheets. Candidates must know the correct syllabus of IPU CET 2019 in order to gather the correct study material. All the candidates appearing for the entrance exam will be asked questions from Physics, Chemistry and Mathematics. The syllabus of exam will be set as per the 10+2 Board syllabus or its equivalent. Last year, the IPU CET was held in 15 exam centers. The candidate will be required to enter the exam center according to his/her preference. In cases where both the options picked by the candidate have been dropped due to lack of sufficient candidates, such candidates will be allotted “Delhi” as a default option. GGSIPU will issue the IPU CET 2019 admit card for all the successfully registered candidates in the second week of May 2019. Please note that the Admit card will be available in the online mode only. There will be no offline process of obtaining the IPU CET hall ticket. Each candidate will be required to log in using their ID and password generated at the time of online registration. The IPU CET Admit card 2019 of the candidate is one of the most important document that the candidate must carry to the exam center. The absence of the hall ticket will prevent the candidate from taking the IPU CET exam. The admit card will carry all the important exam dates, the exam center name and address and other details. The result of IPU CET 2019 will be announced for all the candidates who have taken the entrance examination. The Results will be declared online on the official website of GGSIPU. The results for B. Tech and B. Tech Bio Tech will be announced separately. The Results will be available in the form of IPU CET rank list. The Rank list will reflect the roll number, name, region, category and rank of the candidate. 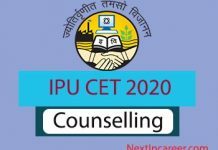 The IPU CET result 2019 will determine if the candidate will be shortlisted for counselling or not. In order to screen admissions, the Indraprastha University will release a cut-off. The opening and closing ranks for each college and course can be assessed with the help of the cutoff. There are various factors that are used to calculate the cutoffs like the number of applicants, seats available, difficulty levels of the exam and the past year IPU CET cutoffs. The candidates who have qualified and are eligible will be called to participate in the Counselling and seat allotment. the registration for IPU CET 2019 counselling will begin in the 2nd week of June in the online mode. The IPU CET counselling will be conducted in Multiple rounds. If there are seats left after online counselling rounds, a SPOT round would also be held. Candidates will be required to pay an amount of Rs 1000 as the counselling registration fee. The IPU CET seat allotment will be done on the basis of merit of the candidate. Those listed on the top of the Merit list will get more preference over those with a lower rank. At the end of each round of Counselling, the candidates will be allotted seats. Candidates have the option to freeze the offered seat, slide or float in the earlier rounds. Next articleIPU CET 2019 Application Form Released – Register Now!